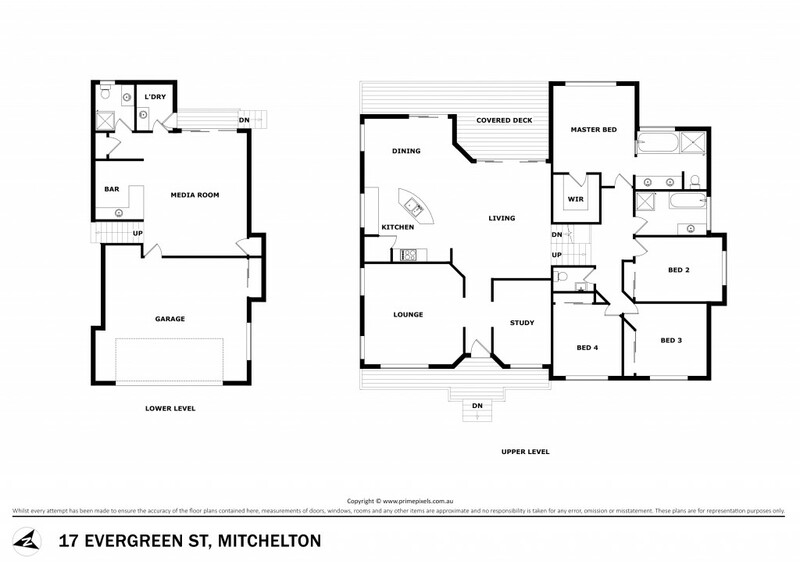 Presenting 17 Evergreen Street, Mitchelton. Positioned in a quiet enclave of impressive, contemporary homes, this is your perfect opportunity to secure a spacious residence in a prime location. With over 310m2 approximately under roof, this large home offers plenty of space for the entire family to spread out and live comfortably. At the heart of the home on the main entry level are generous open plan living, dining and kitchen areas. Beautiful polished hardwood floors and extensive use of windows provide a great sense of space and maximise the natural light. The open plan feel continues through the large glass slider doors leading out to a private covered deck - the perfect spot for entertaining, summer dining or just relaxing. Also featuring on the main level is a separate lounge room plus a generous study. Downstairs you'll find an oversized media/entertaining room complete with wet bar and one of three bathrooms. Venture upstairs to the four bedrooms, all generously proportioned including a master suite complete with walk-in robe and ensuite with spa. With an extensive list of features you would expect in a contemporary home, number 17 is a must to inspect. Located in thriving Mitchelton, approximately 9kms from the City and moments away from Brookside shopping centre, bustling Blackwood Street and a selection of school and public transport options - it's easy to see why the location is so desirable.